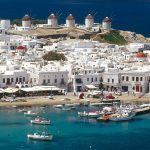 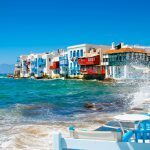 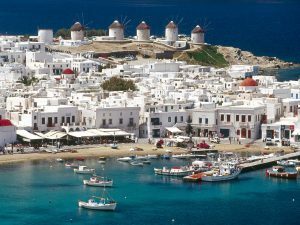 Interested into Holidays in Mykonos? 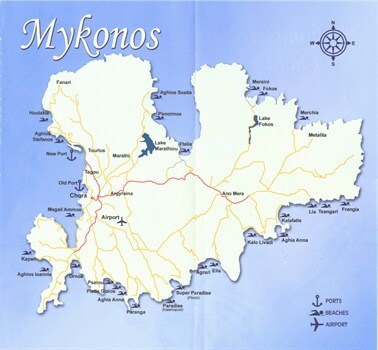 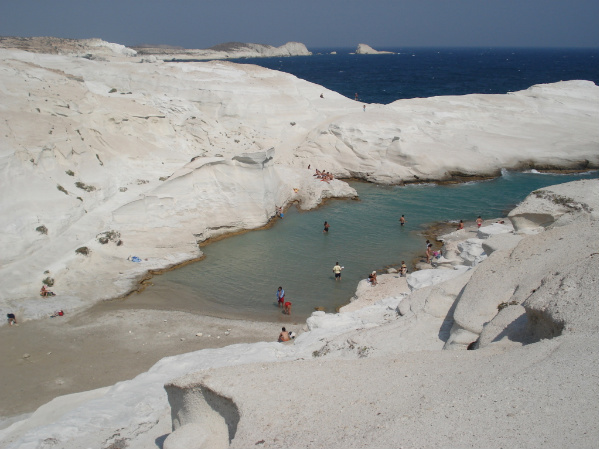 Mykonos is part of the Cyclades group of Greek islands and has become a popular tourist destination in recent years. 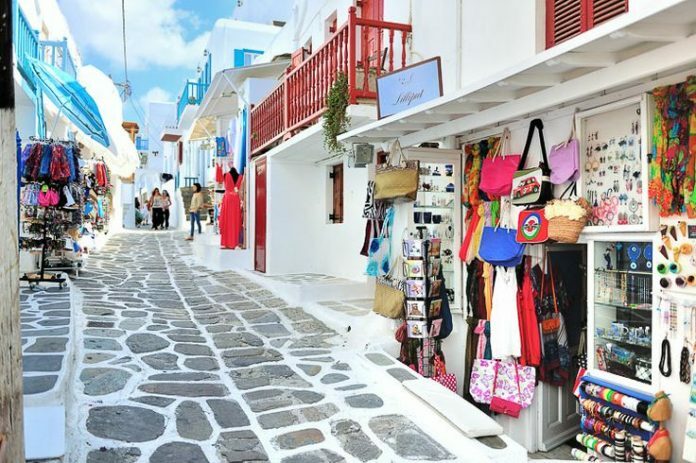 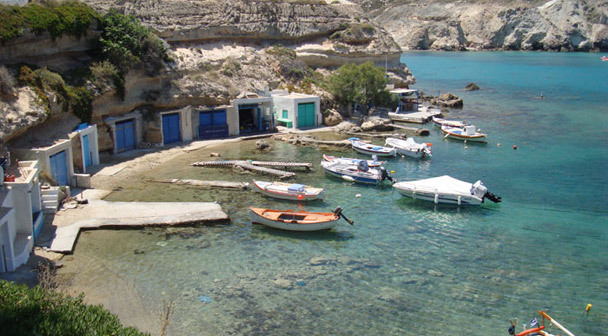 Tourism is the main source of the island’s income and there is a lot to see and do, including taking cruises to explore the parts of interest. 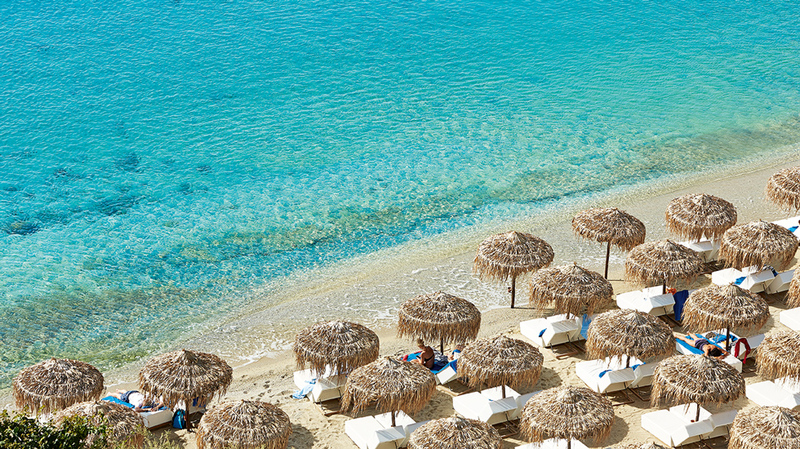 Oozing Greek mythology and history, Mykonos became a hub for the rich in the 1960s and 1970s. 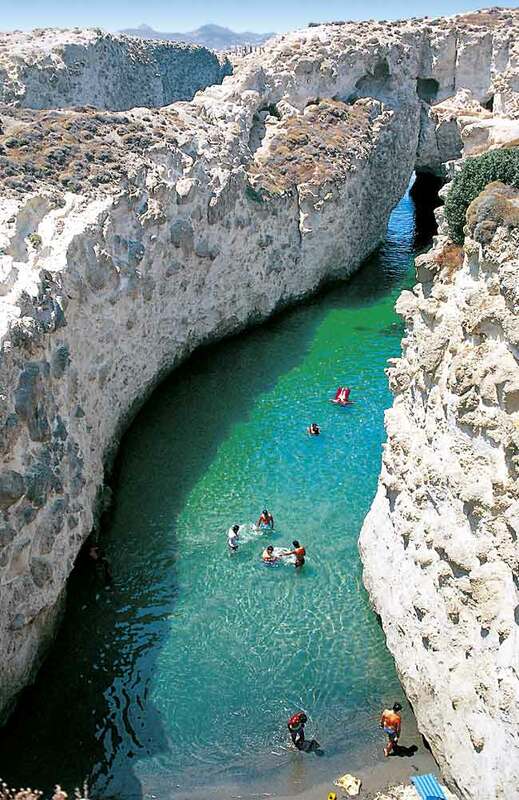 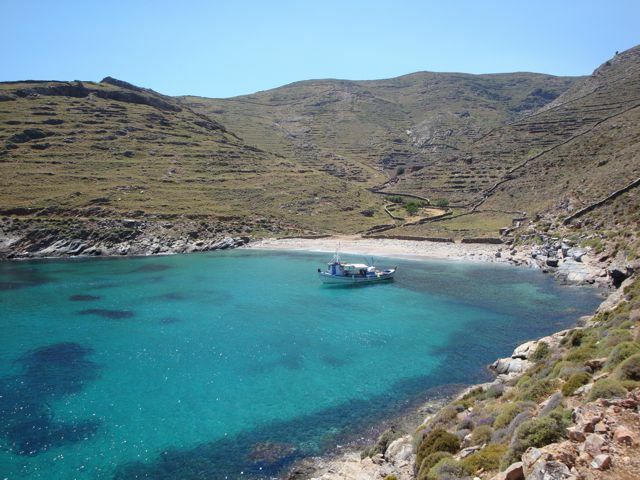 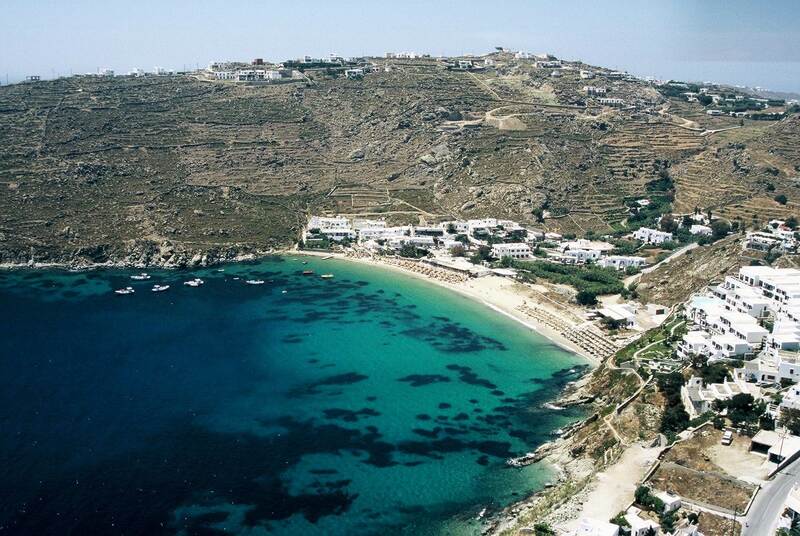 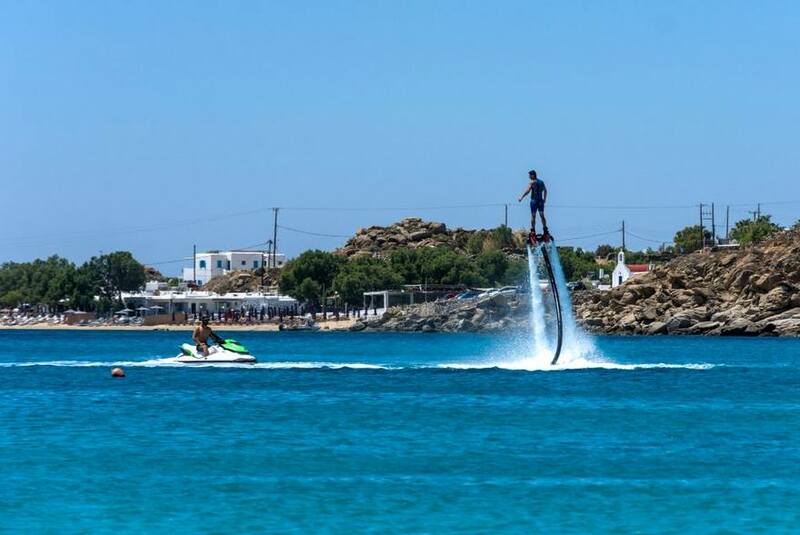 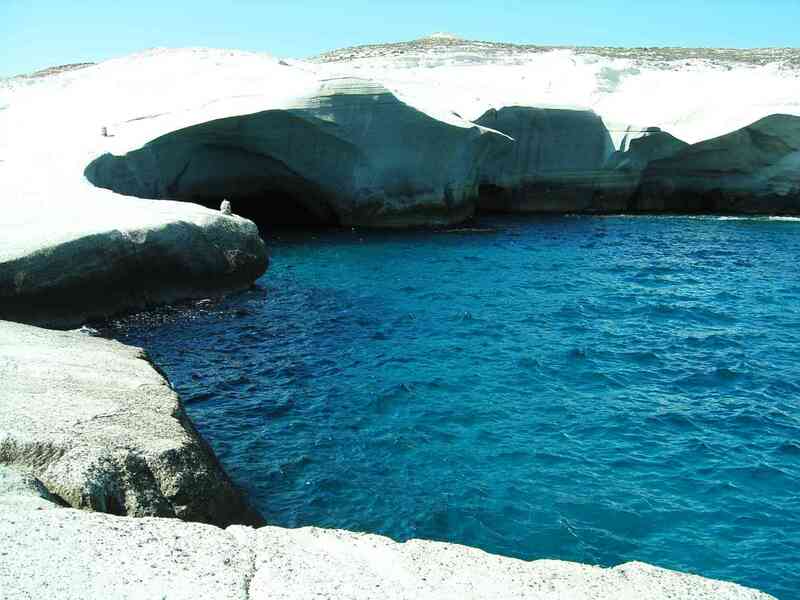 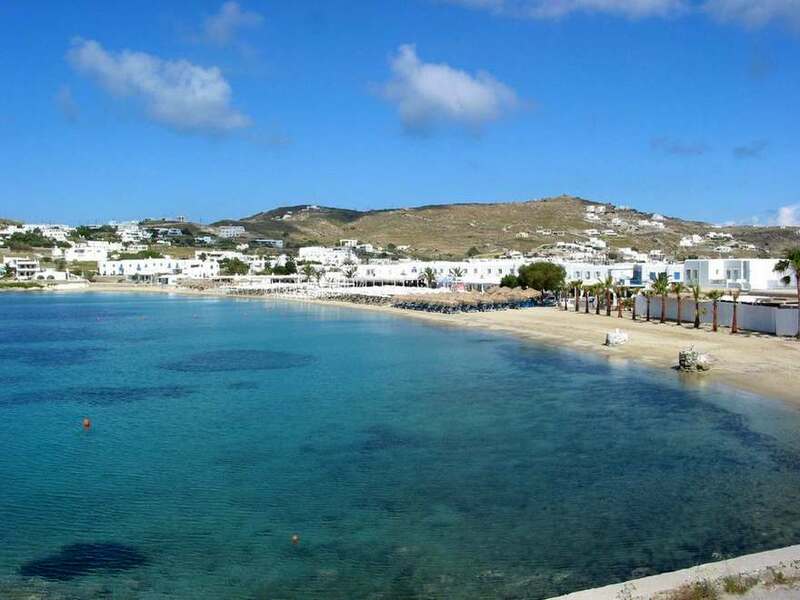 Many attractions on Mykonos are worth visiting during your stay. 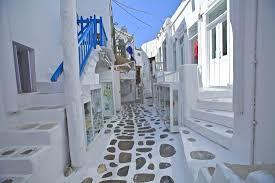 The Municipal Library is a mansion dating back to the 18th century with thousands of photographs, Cycladic coins and documents, plus pieces of work from John Ratekin, an American artist. 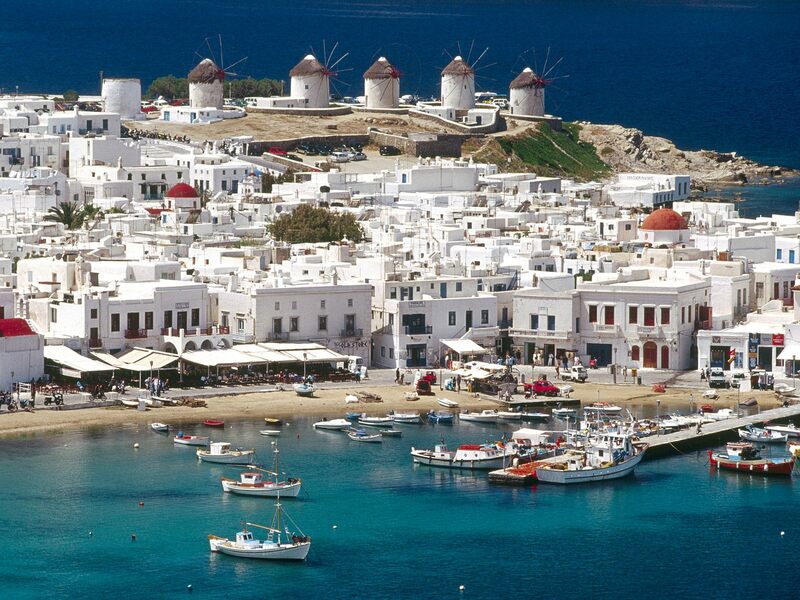 The Mykonos windmills are a famous landmark of the island and define its beautiful landscape. 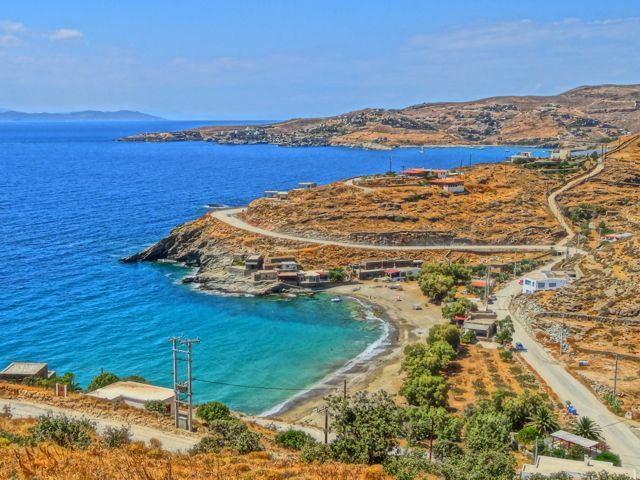 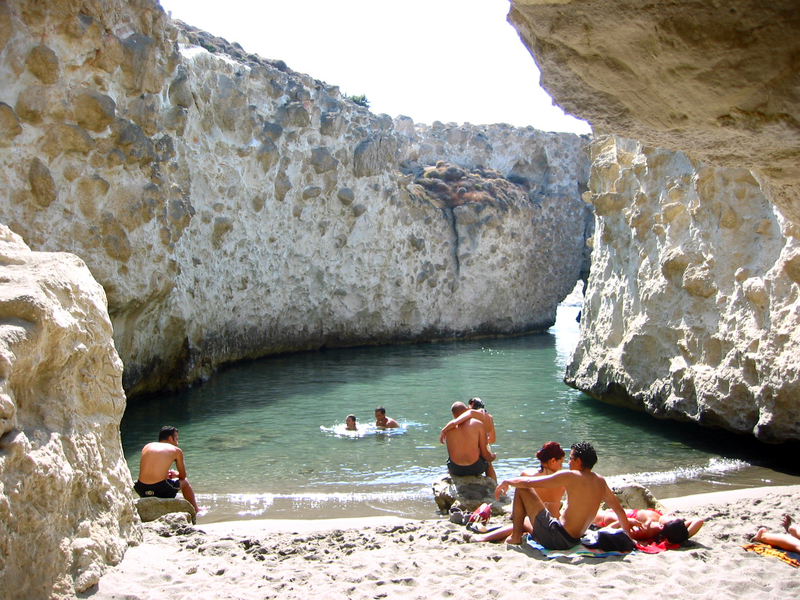 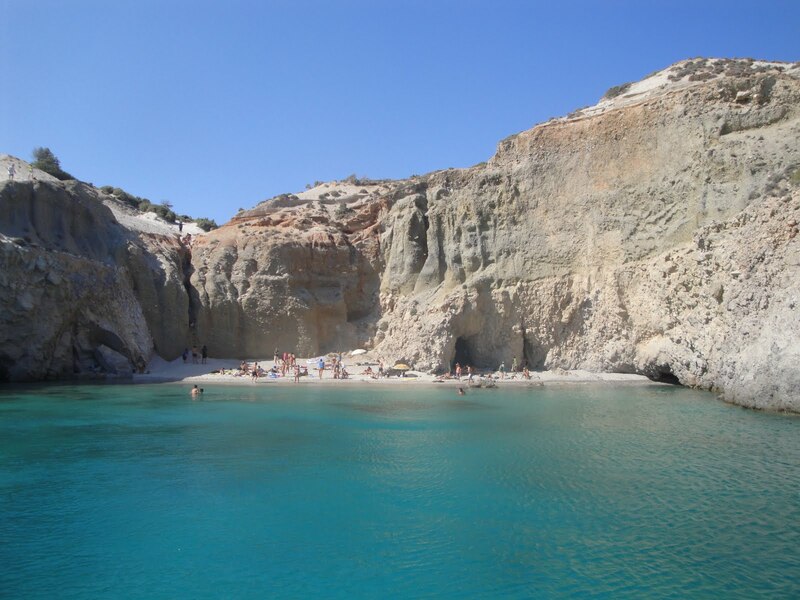 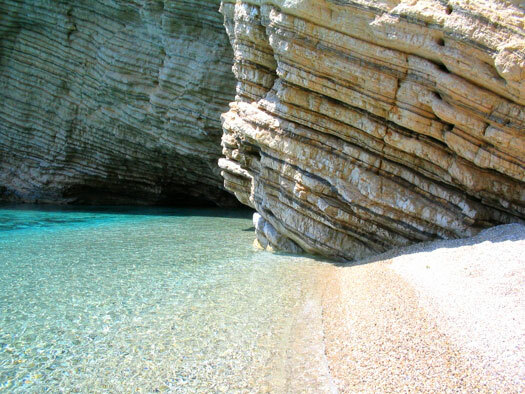 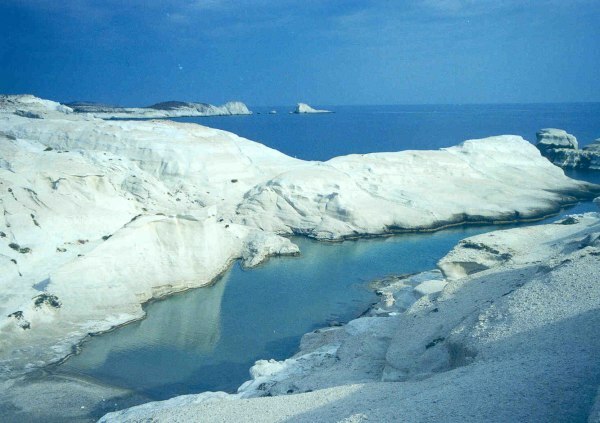 You are unlikely to miss them during your stay especially if visiting the town of Chora, as most are situated there. 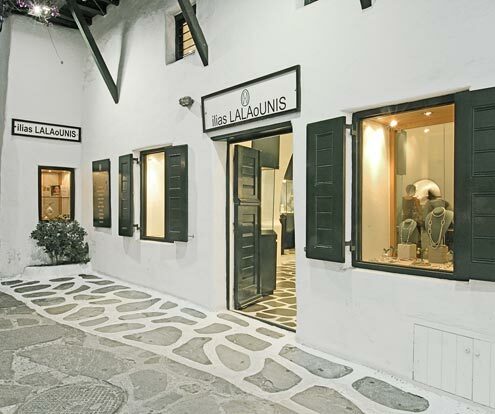 Built by the Venetians centuries ago, they were used to mill flour, but most are now restored and refurbished as local homes and museums. 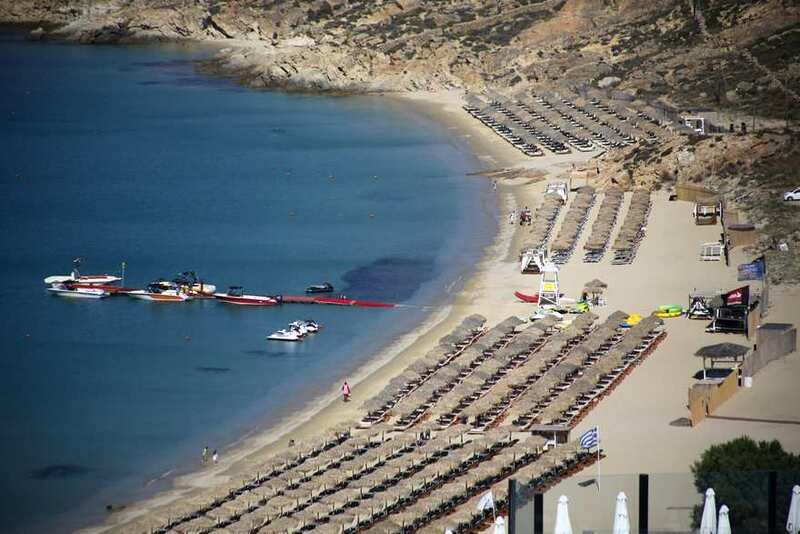 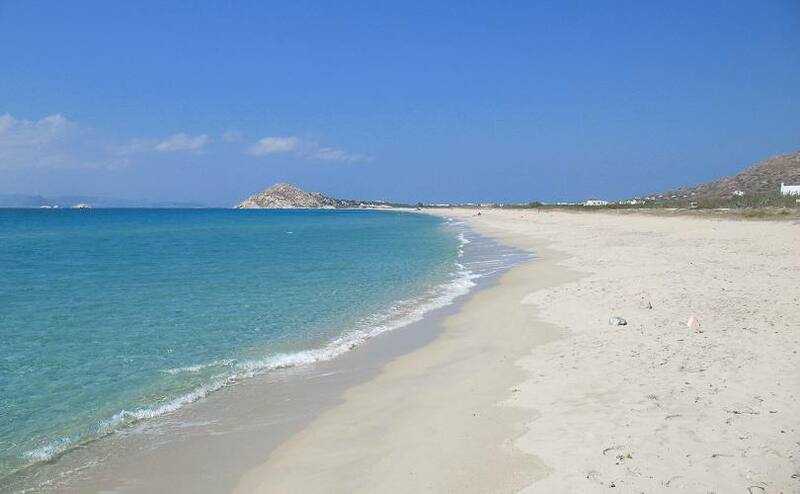 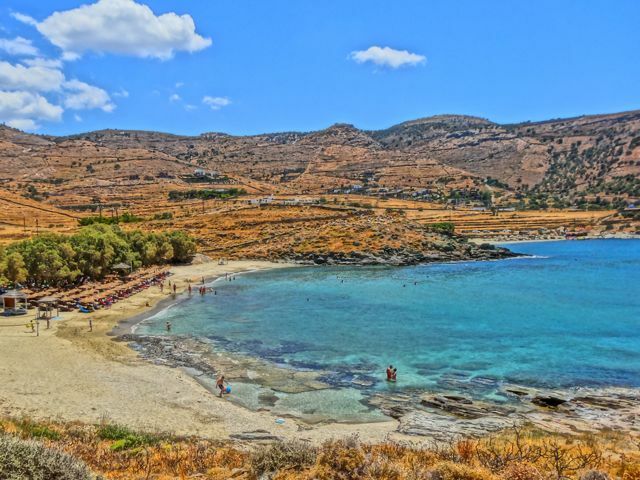 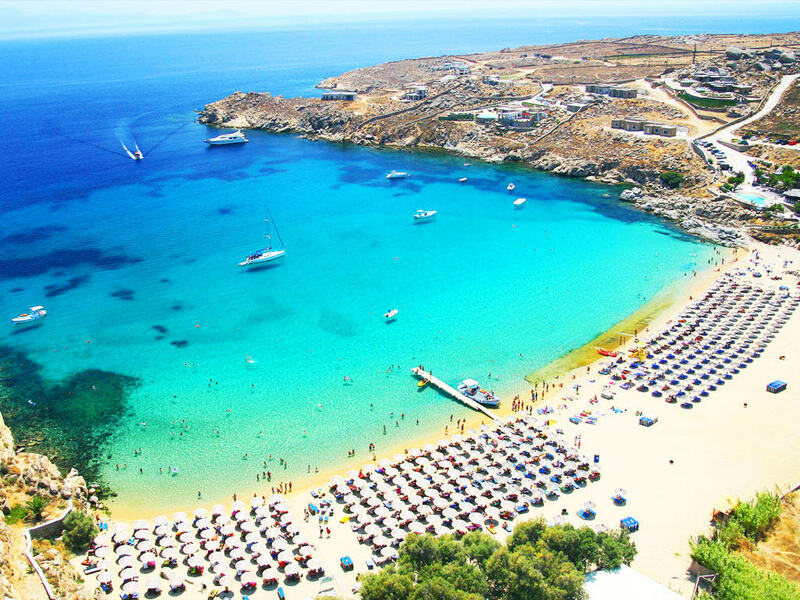 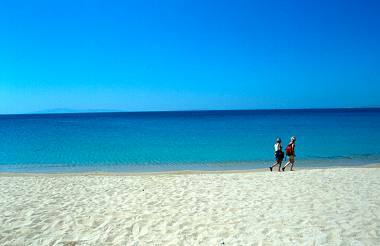 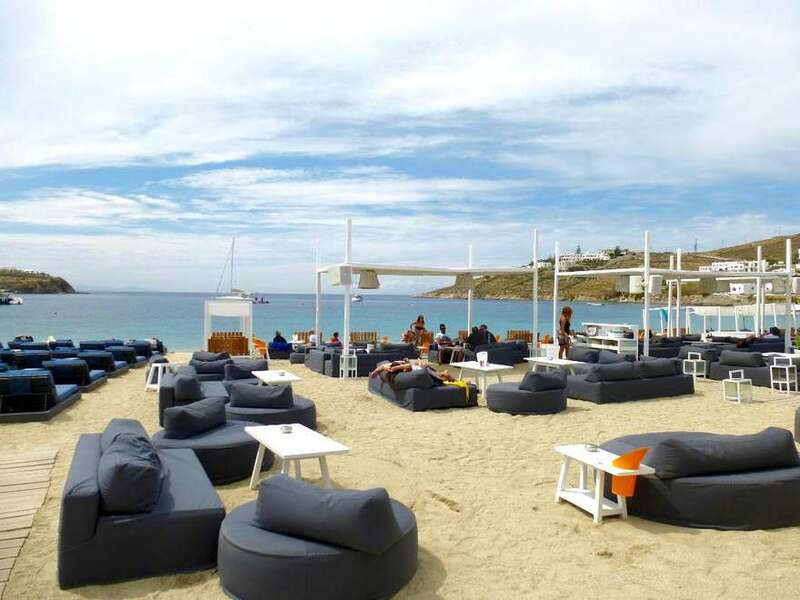 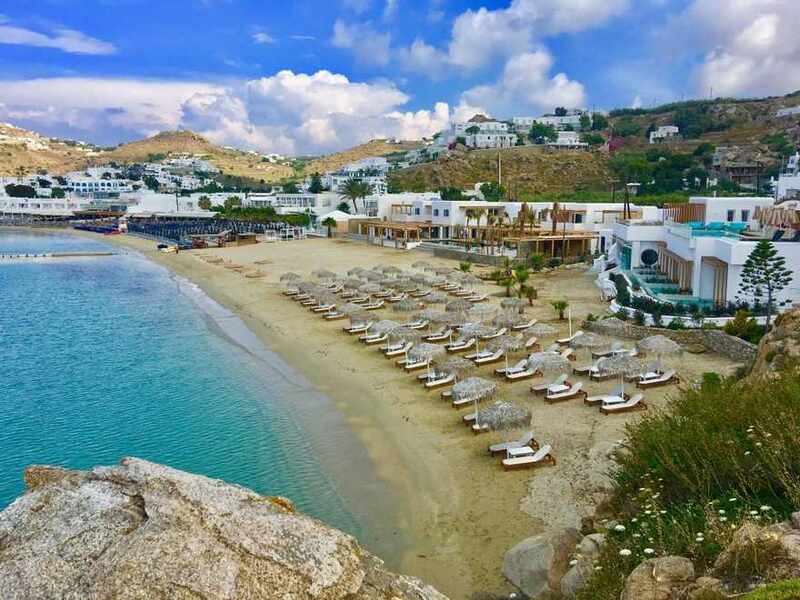 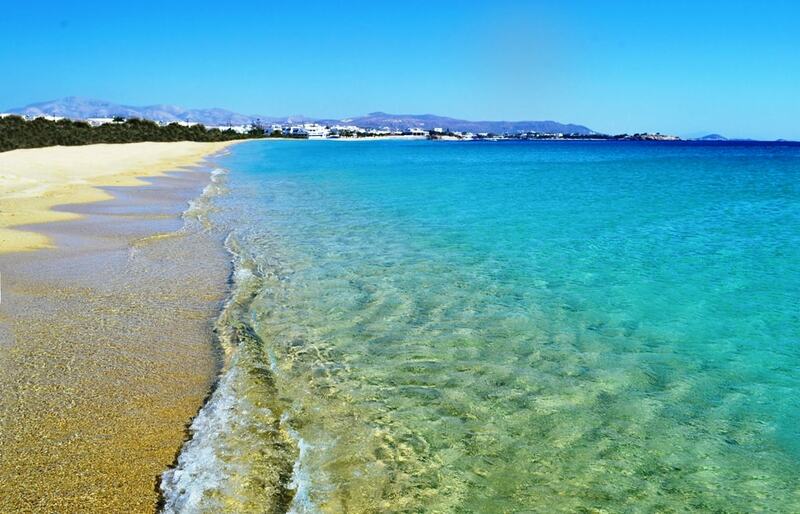 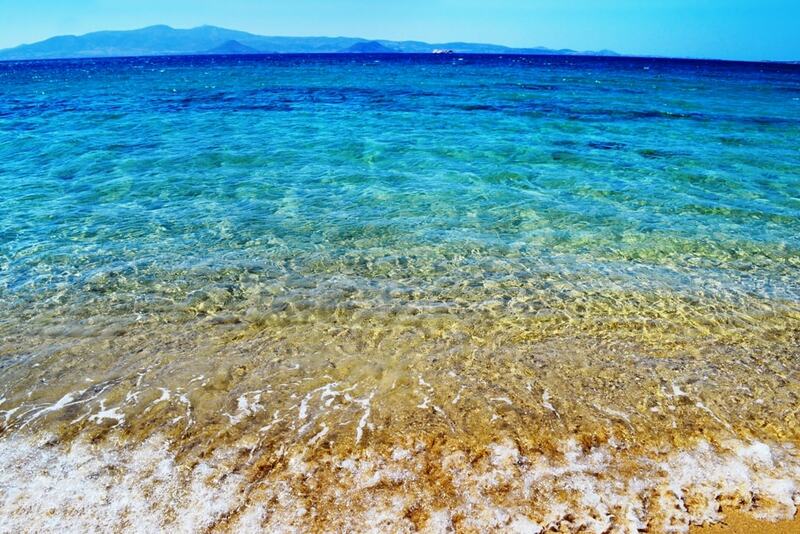 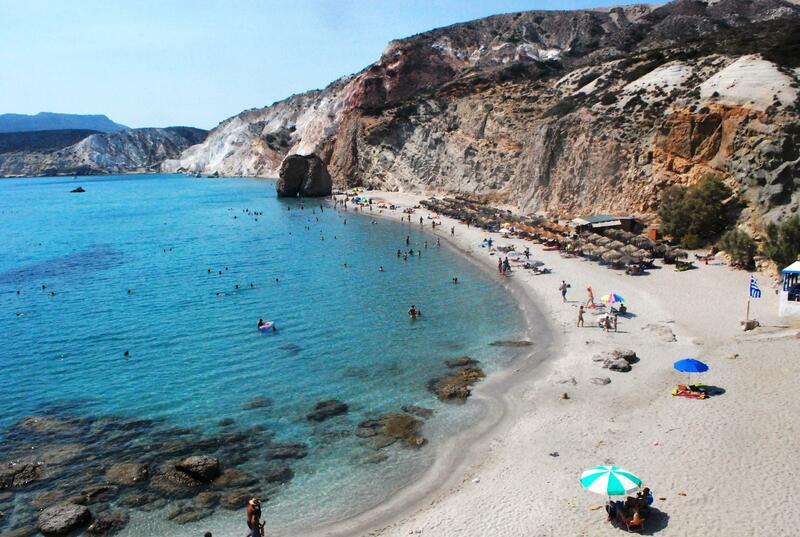 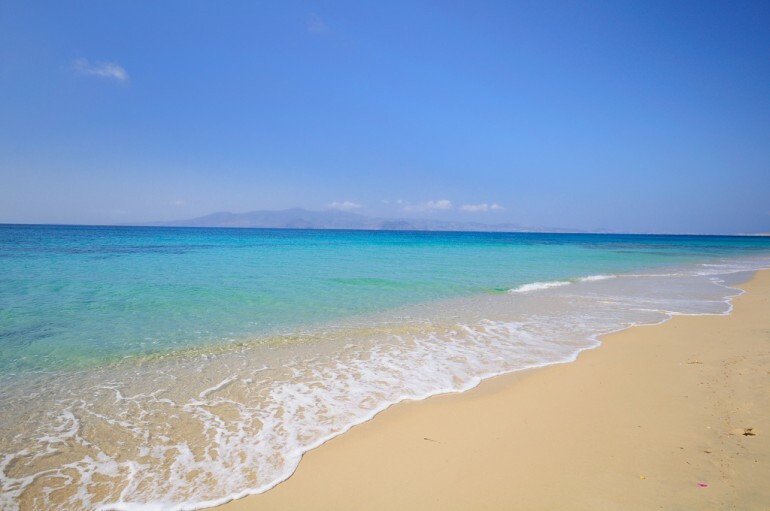 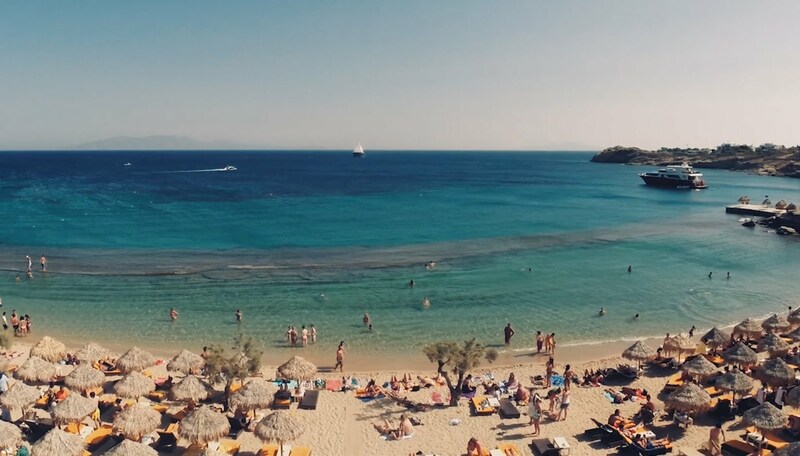 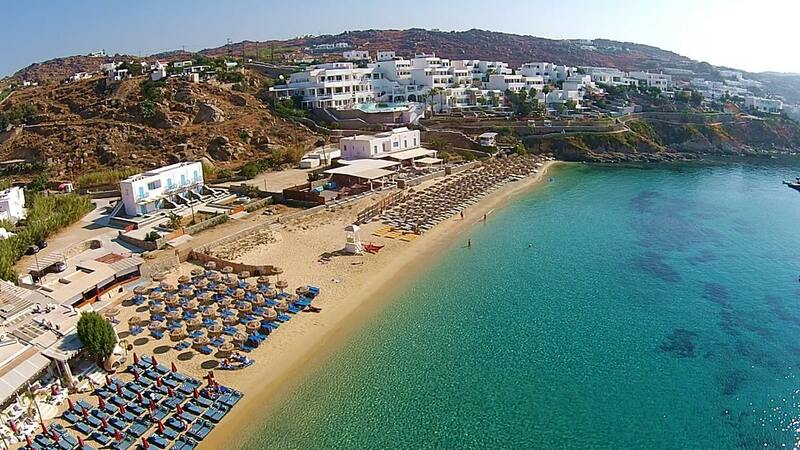 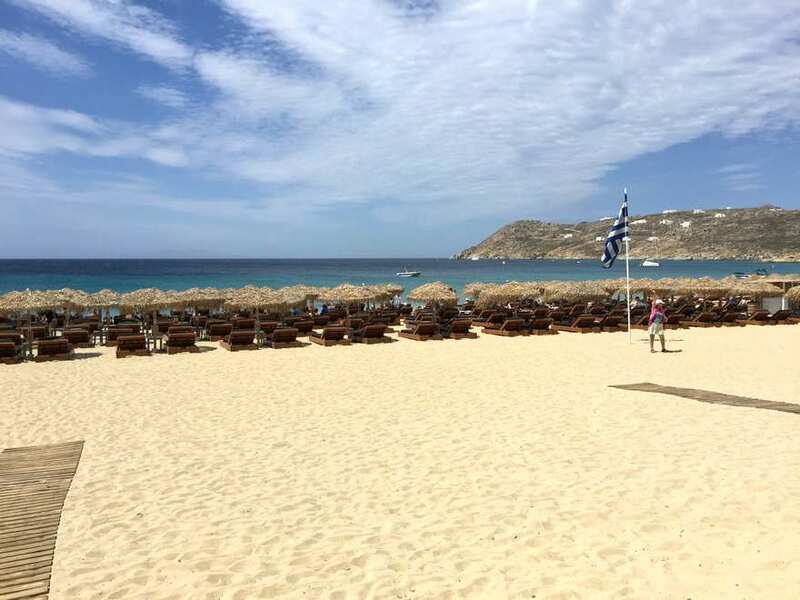 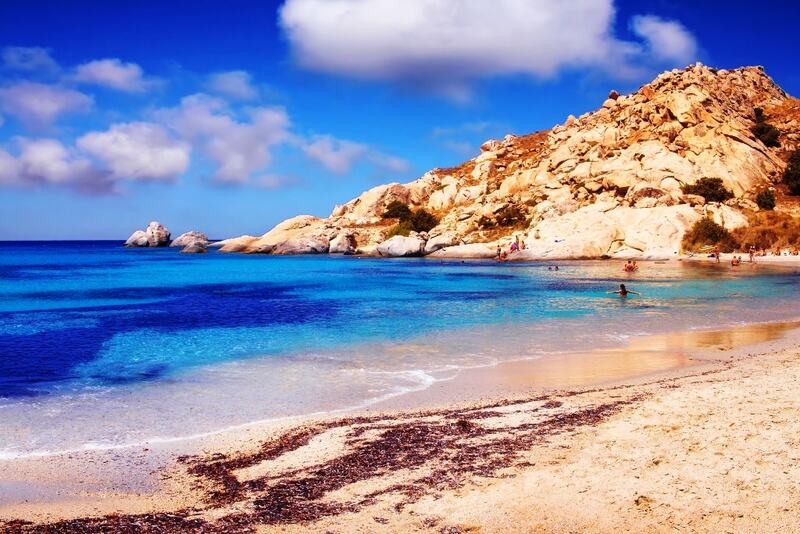 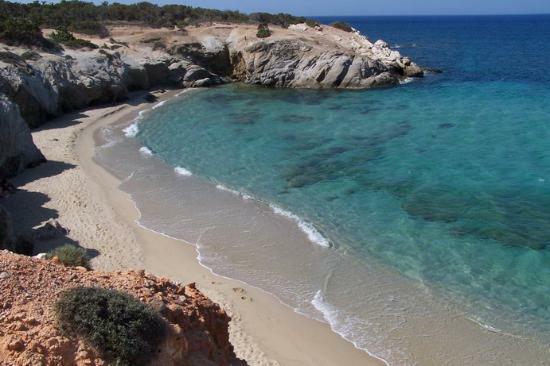 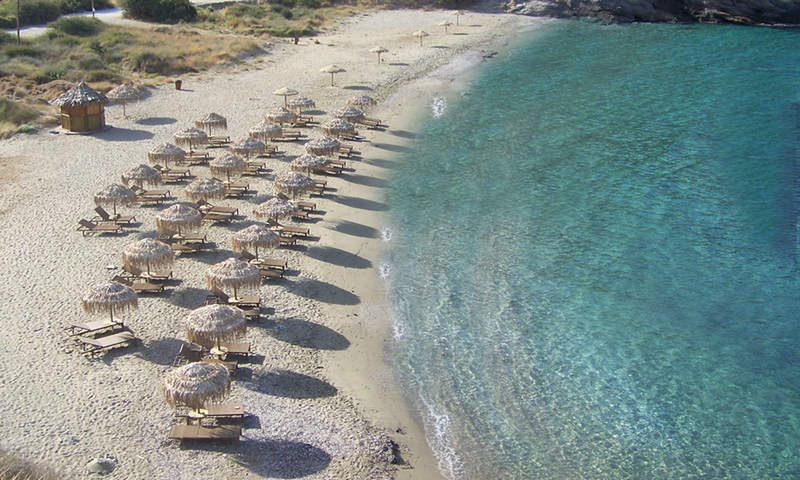 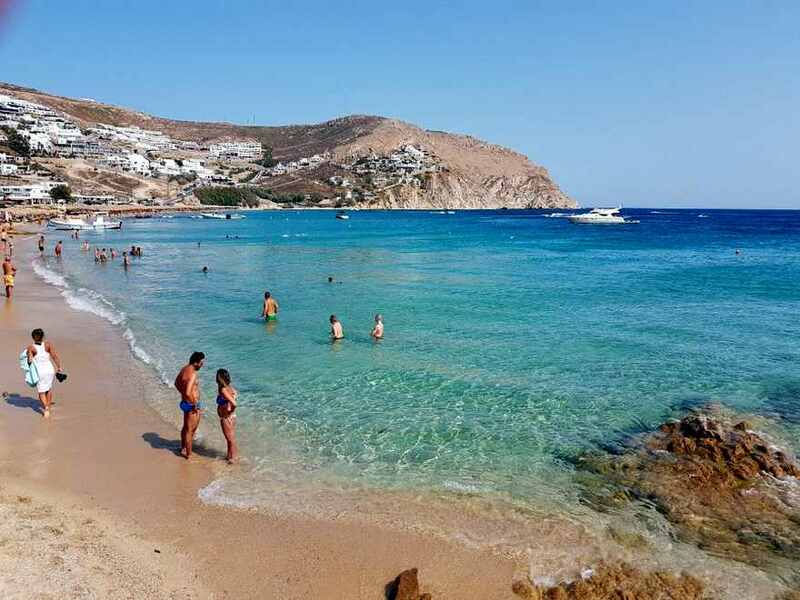 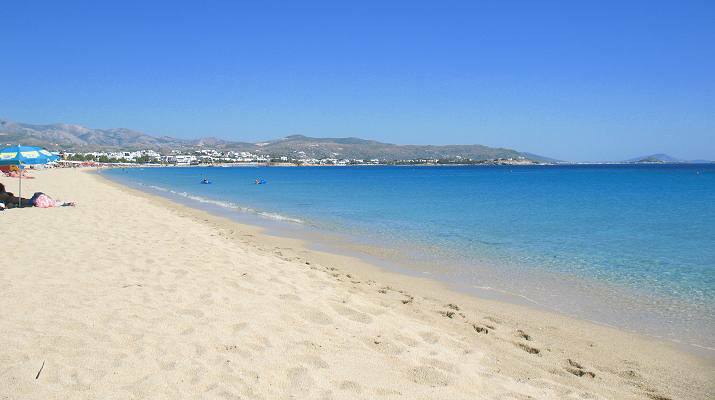 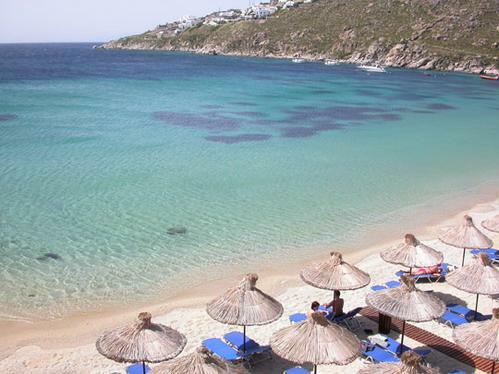 Here’s a roundup of the best of Mykonos beaches (photos and videos). 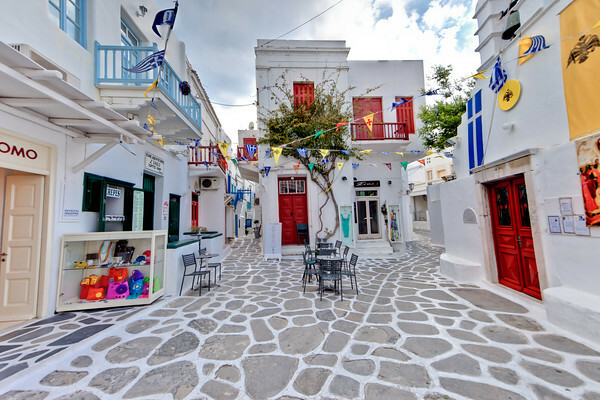 Little Venice is a must-see when visiting Mykonos. 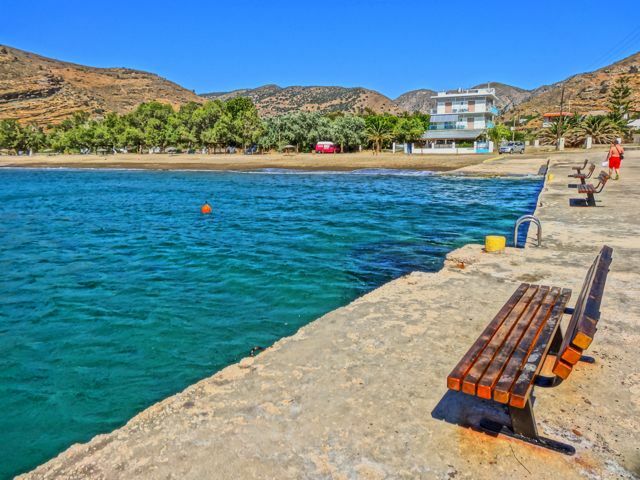 It includes rows of fishing houses along the beautiful waterfront, making a perfect setting for a relaxing break in the sun. 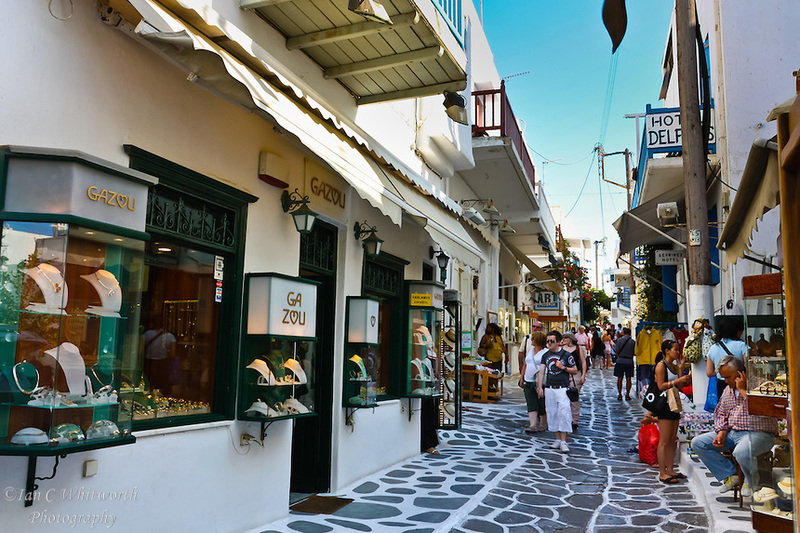 Rich in culture and history, a selection of the houses have been made into cafes, bars, shops or galleries, making it a romantic place for couples to spend time together. 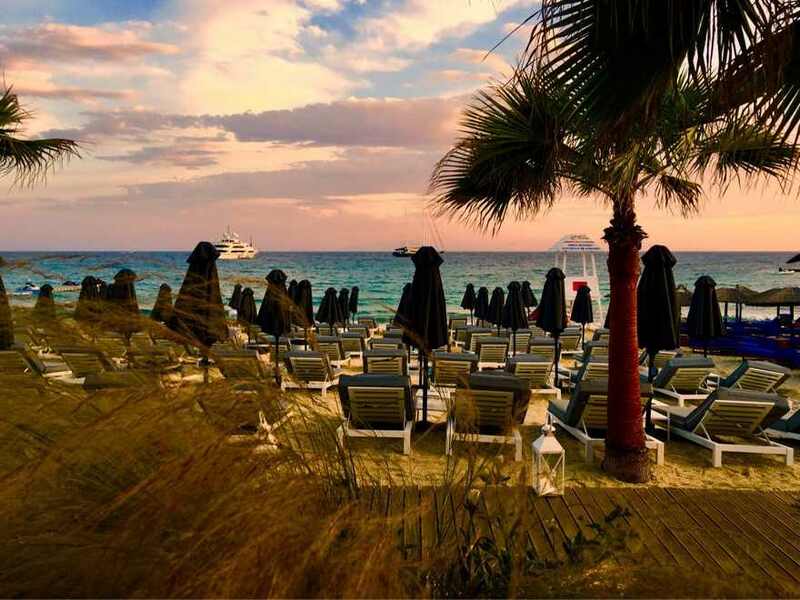 Watching the sunset there is a common pastime. 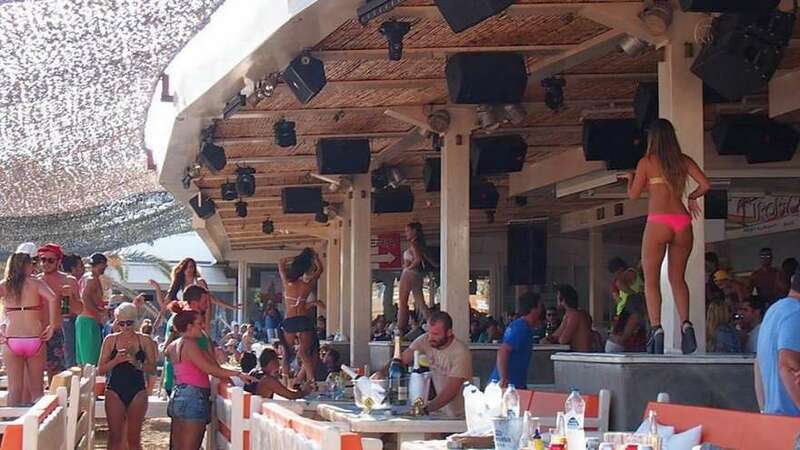 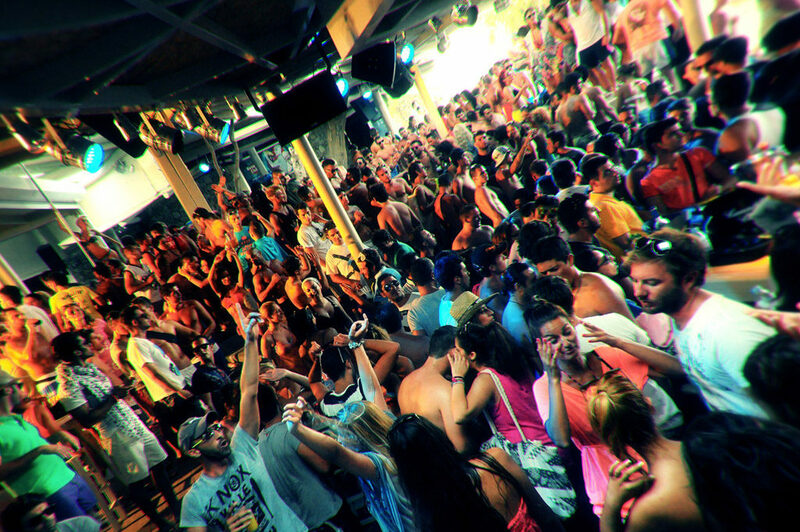 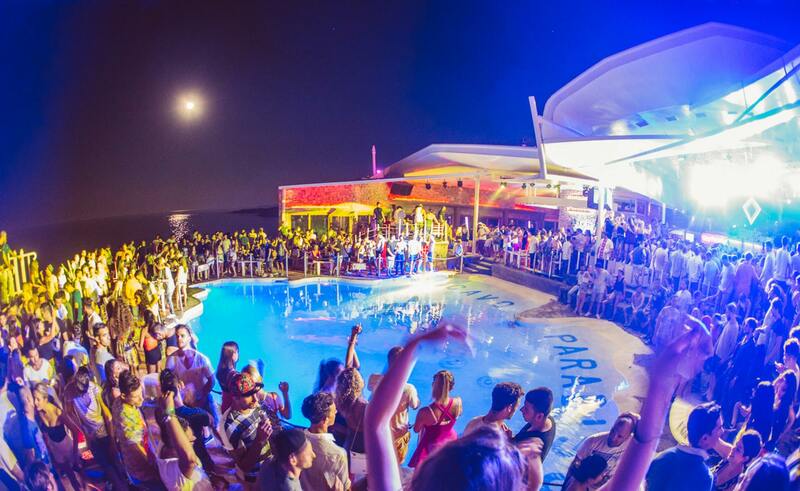 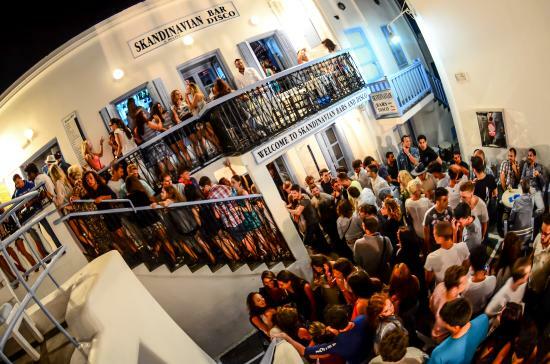 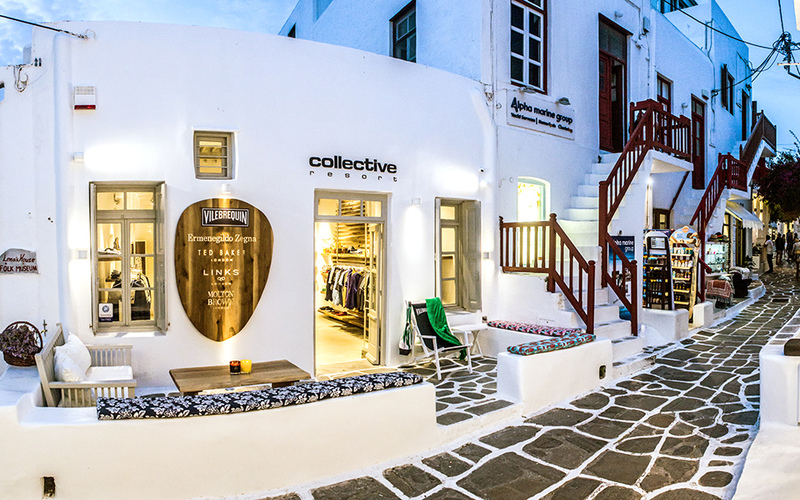 Nightlife is a big part of Mykonos and something it does well. 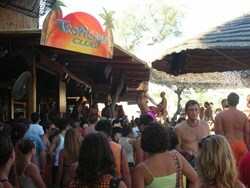 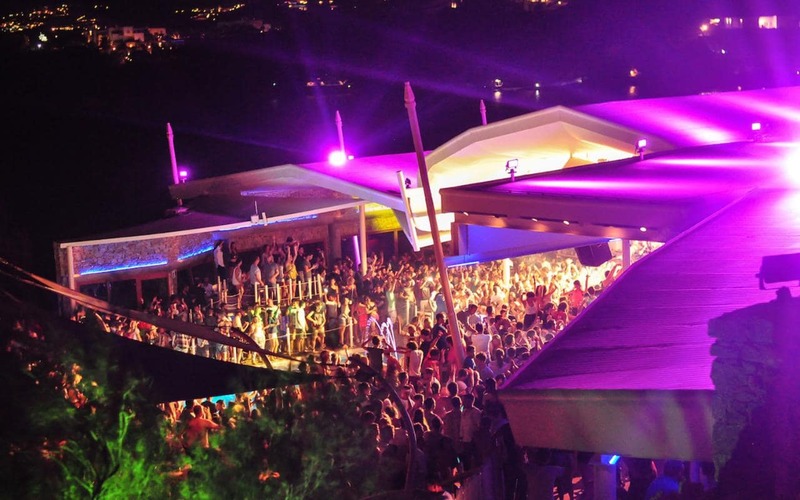 There are many parties, clubs and live music to enjoy after a long day sightseeing or exploring the natural beauty of the island. 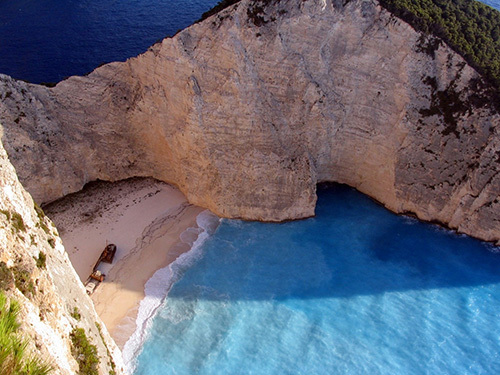 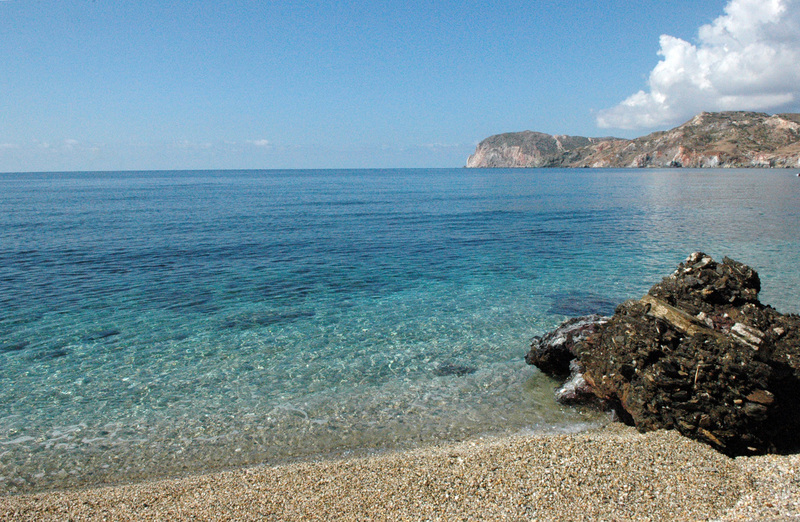 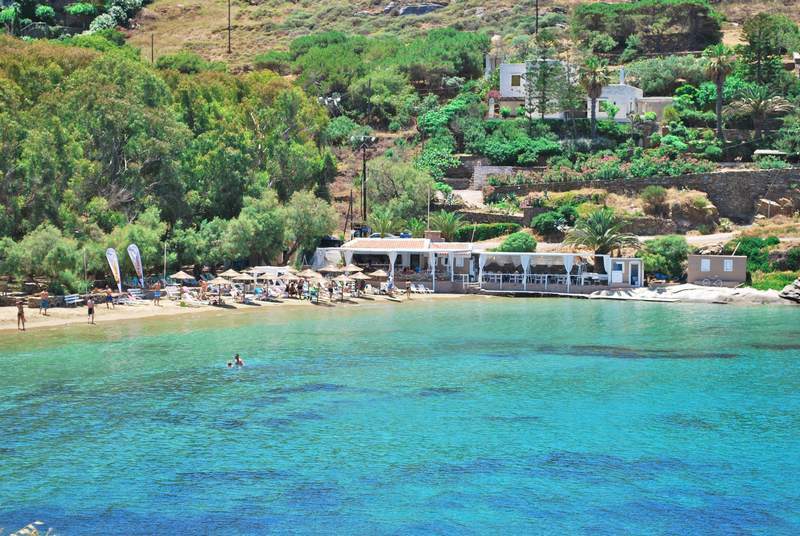 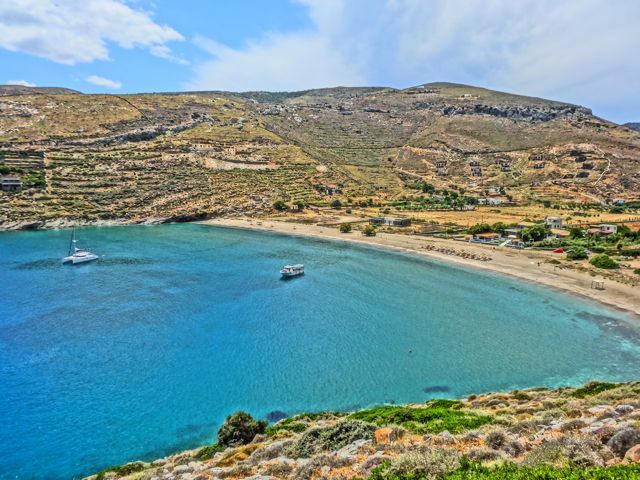 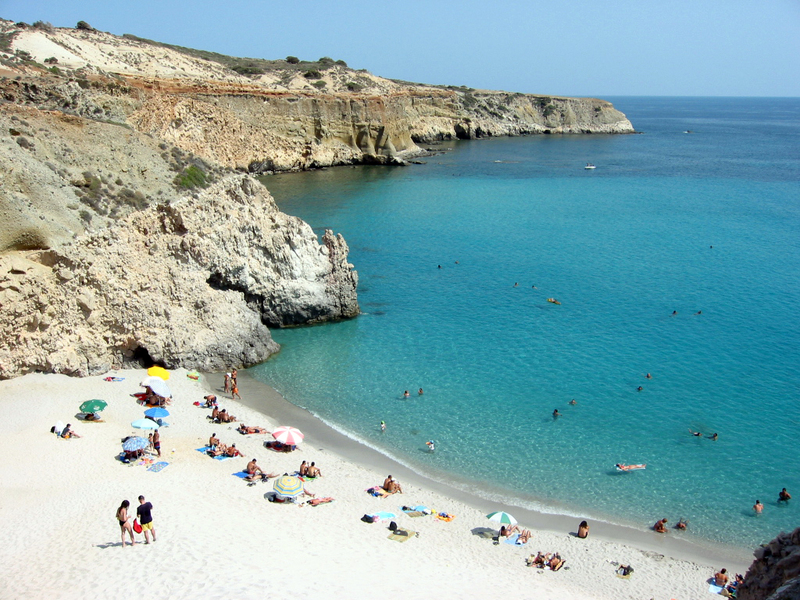 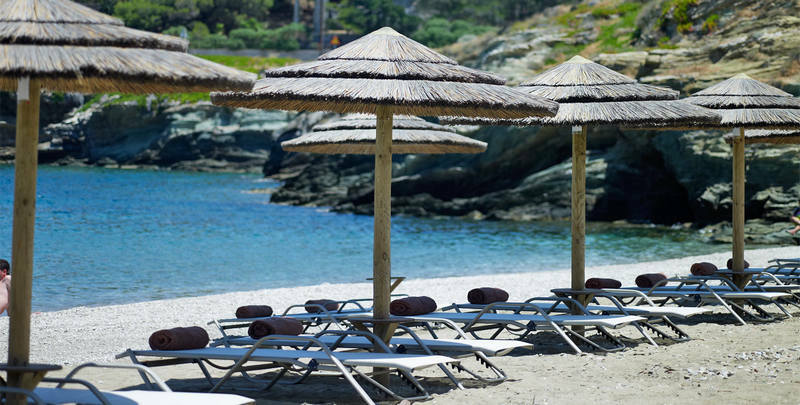 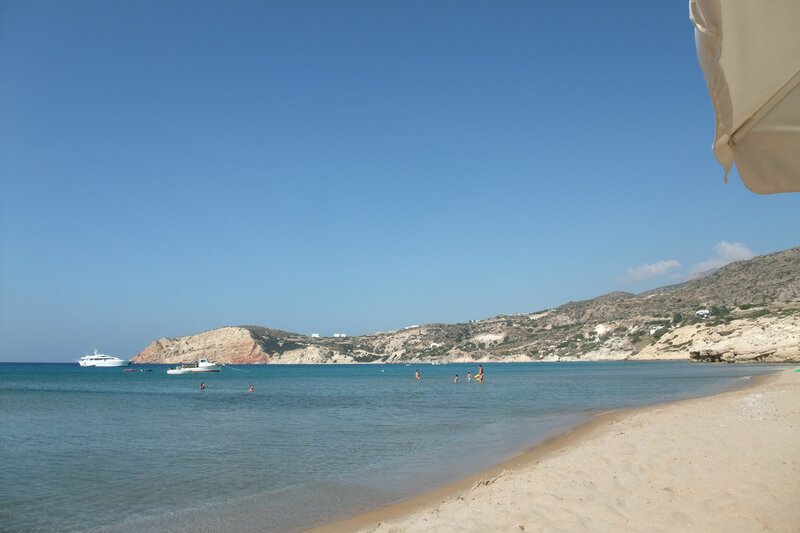 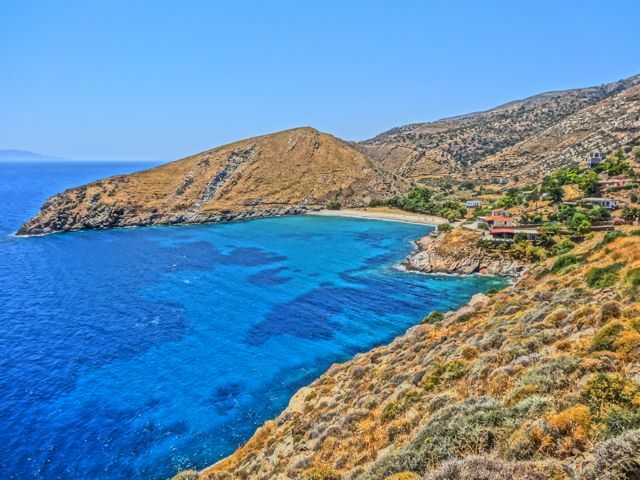 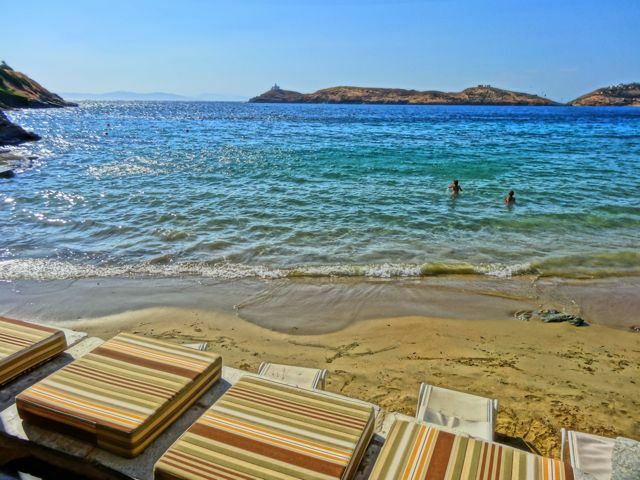 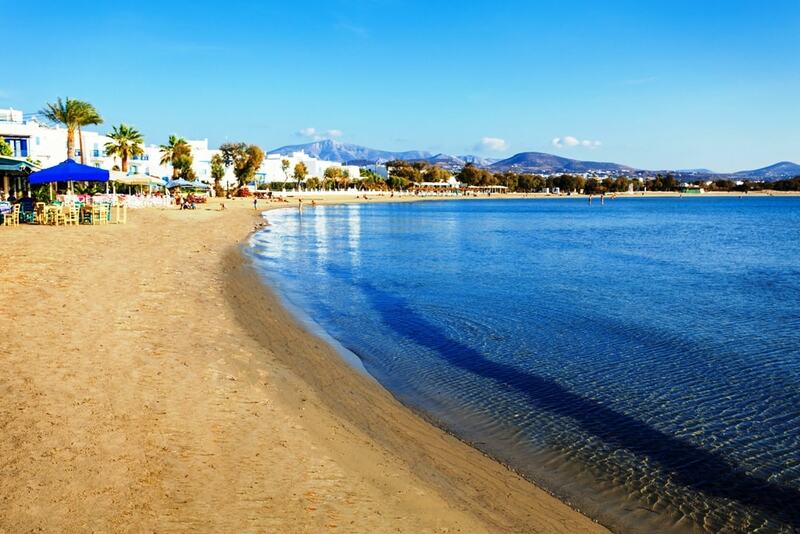 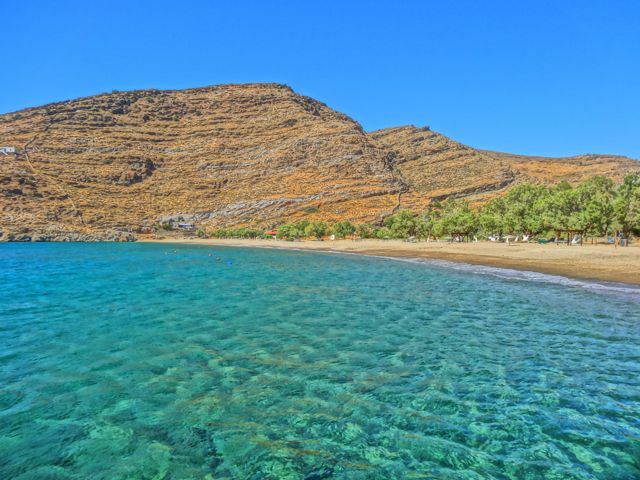 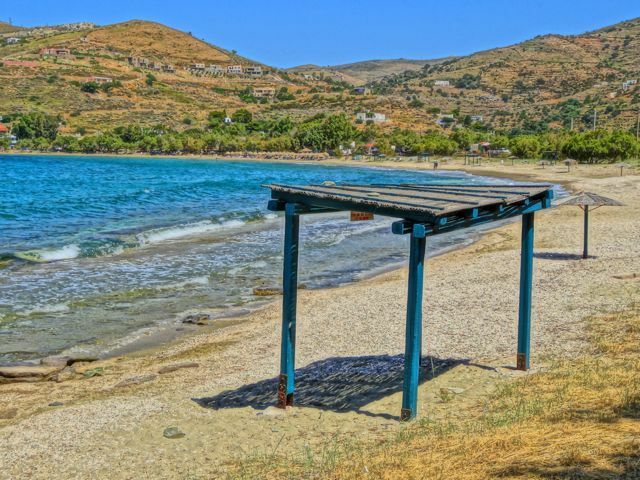 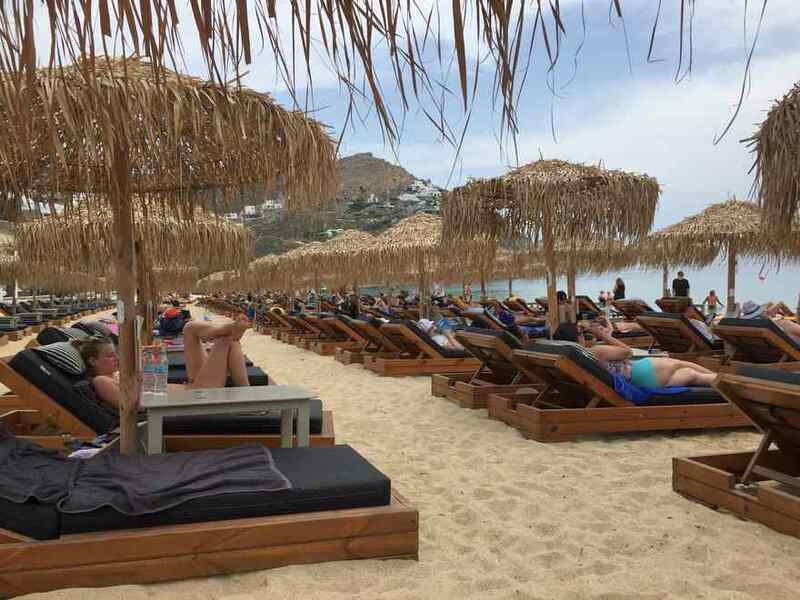 Relaxing on the beach is another perfect way to enjoy this Greek location. 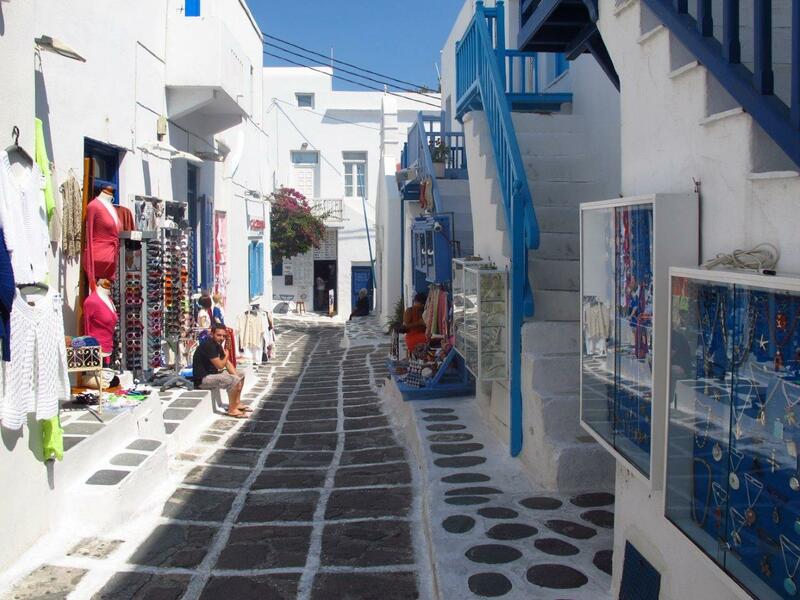 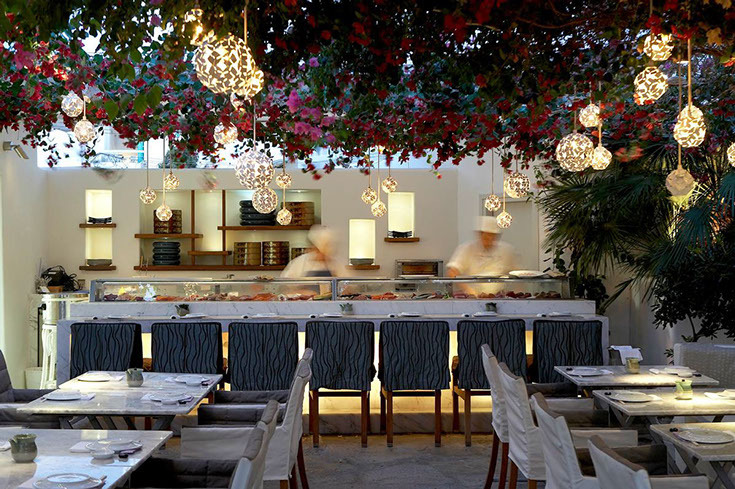 There are many charming restaurants to enjoy an evening meal at, with an array of local Greek dishes to try out. 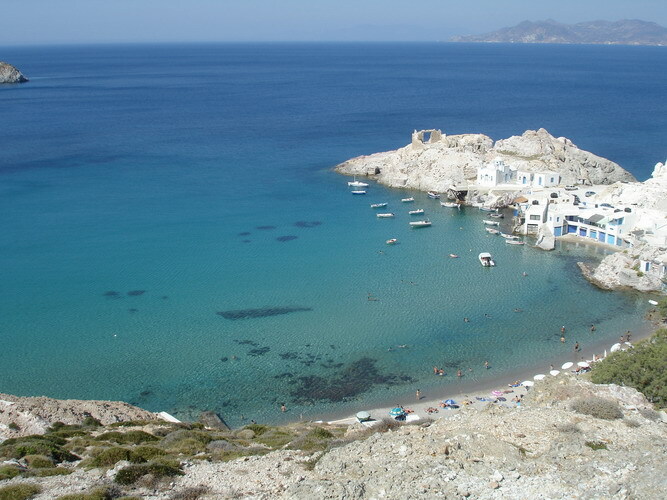 Popular cuisine includes Greek salad; grilled meats, traditional cheese pies and a whole lot more. 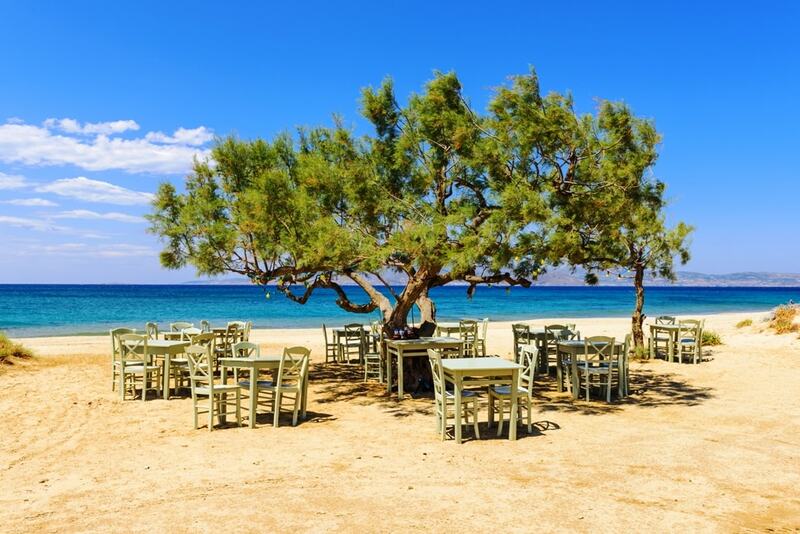 Outdoor dining by the sea is a romantic way to spend time with your loved one or just to make a special moment with the family.